I spoke with Dr. Ken Price about registration this week. As I had hoped, he and the other trainers will be bringing a few extra books with them. This means that we will be able to accommodate a small number of registrations "at the door." If you think you would like to come, but still haven't officially registered, please let us know as soon as possible so that we can order food. We are surrounded by people struggling just to get by. Often the culture that they live in is radiacally different than the one that most of us understand. 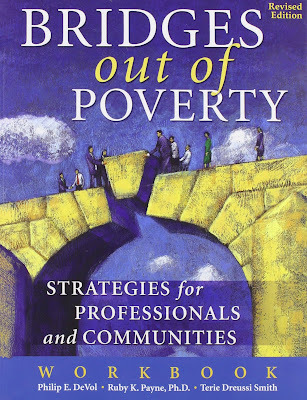 Bridges out of Poverty is for anyone, businesses, schools, service providers, social agencies, churches an others whose daily work connects them to people, families, and children, who live in poverty. Join us as we explore the causes of poverty and it's hidden rules as well as the impact that poverty has on our nation, our community, and every one of us. Join us we we begin to understand poverty better so that we can take steps toward creating sustainable communities. Join us as we learn strategies for building prosperous and healthy communities. Join us as we learn how to really help, and not just apply temorary band-aids to a deep and systemic problem. Bridges out of Poverty is a starting point where we can develop accurate mental models of poverty, the middle class, and wealth. 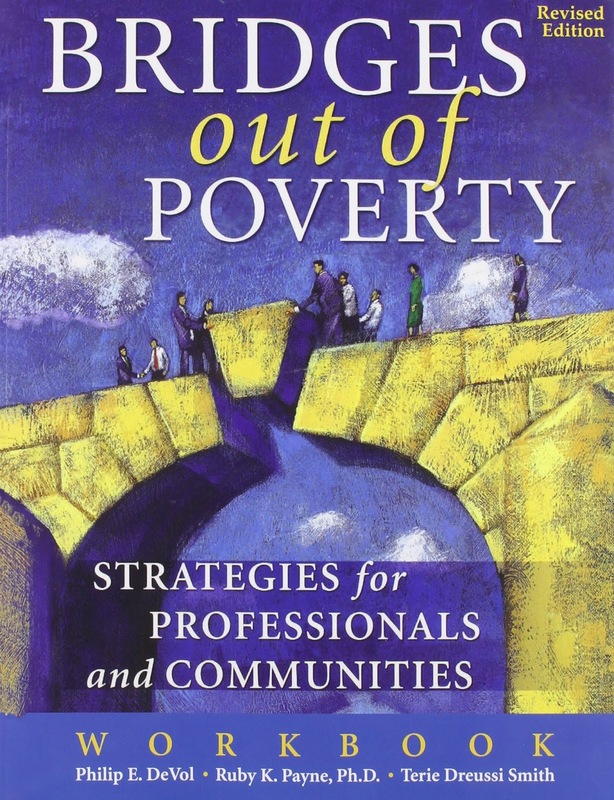 **Cost is $25 which includes the Bridges Out of Poverty text, Lunch, and refreshments.